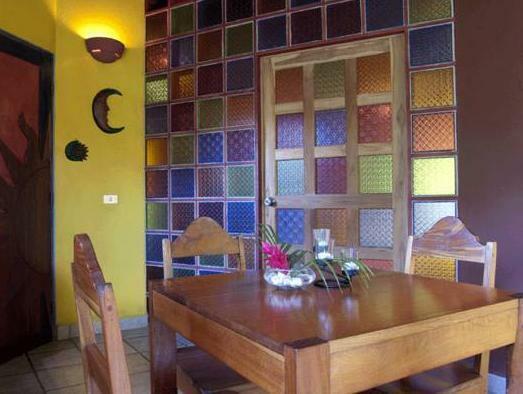 ﻿ Best Price on Hotel Flying Crocodile in Nicoya + Reviews! The Flying Crocodile Lodge is nestled in a nature reserve and surrounded by mangroves. Just 10 minutes' walk away is the untouched beach of Playa Buena Vista, located on the Nicoya Peninsula, 3.7 mi north of Samara. 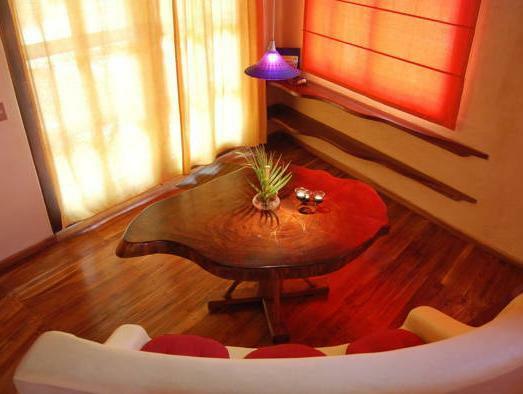 The designed rooms are air conditioned, feature a fridge and a fan and colorful style. The property is located in the middle of natural tropical gardens and art details are inspired in Antonio Gaudí's artwork. A pool bar invites to relax. Other restaurant options can be found within 164 feet. The property can help arrange activities as well as tours and the area is popular for sport fishing, horse riding, canopy tours or bird and turtle watching. A bus station is 3.1 mi from the hotel and the Ultra Light Flying Center is located 30 minutes away from the property. Please note that the reception is closed from 20:00 until 07:00 hours. Guests arriving outside reception opening hours are kindly requested to inform Hotel Flying Crocodile in advance. Contact details can be found on the booking confirmation. Please note that it is not possible to cross the river during rainy season and the following directions should be used to reach the hotel: Approximately 3.1 mi before Samara you will see a La Bomba petrol station. At the next crossroads, turn right towards Nosara. After approximately 5.6 mi, turn left at the Barco Quebrado crossroads. After 2.5 mi you will reach the village of Esterones, where you should turn right at the Bar Coyote. After approximately 0.6 mi, turn left and continue for 328 feet. Turn left again into the hotel car park. Do not use GPS directions to find the hotel. The property recommend using maps or waze. The restaurant is open just in the evening. Please note that our restaurant will remain open during the month of July and August 2018 for remodeling purposes we will close it until the end of November and then again open until April 2019, during the month the restaurant will close.